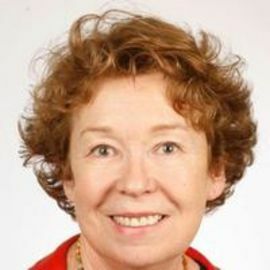 Ann Cotton has always held the belief that education can change lives, and she worked in London educating young women who had been left out of mainstream education to prove it. But after researching the social condition of Zimbabwe in 1991, Ann believed education could also change a country. Her conclusion was that poverty was the number one thing preventing young girls from attending schools. Seeing this as problem she could attend to with results that cold strengthen the rural communities from the inside out, Cotton launched The Campaign for Female Education (CAMFED) in 1993. 32 girls were enrolled the first year. Within a short 9 years, over 300,000 children had been helped by CAMFED's education program. As the first group of girls finished their elementary education, there was an urgent need to create post-school opportunities, particularly economic education for the older girls, and Camfed alum (CAMA) was formed. Economics and business skills were passed on to 10,000 young women. The program has also trained thousands in leadership advocacy and hundreds of young women as rural health specialists. Once equipped, these women have gone out into their communities in a business capacity as well as in an effort to educate young people on essential gender sensitive issues such as reproductive health and HIV/AIDS. Cotton was named the UK's Social Entrepreneur of the Year in 2004, was given the Skoll Award for Social Entrepreneurship in 2005, and given an OBE of honor in 2006 for her advocacy of girl's education in Africa. Ann Cotton has shown the purpose of substantial, targeted education, and the astounding chain effect produced by lives that have been valued.